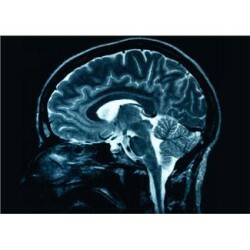 Eating Disorders: What does the Brain have to do with it? Anorexia and bulimia continue to be recognized as the most deadly diseases among psychiatric disorders. If you or a loved one has suffered from either of these eating disorders, you may understand why. Trapped within a vicious cycle of restrictive eating or binging and purging, eating disorder sufferers continue to face a brutal road to recovery. Given the complexity of these diseases and few treatments that are proven effective, men and women suffering from anorexia and bulimia often face many uncertainties regarding their health and prognosis for recovery. Thankfully, this is changing with the progression of new research and evolution of scientific discoveries. It has long been thought that eating disorder behavior is driven by environmental or social factors, such as an obsessional preoccupation with body image. Few studies have investigated the biological component of these diseases, though new studies are revealing the substantiality of this factor in the development of an eating disorder. A landmark study led by Dr. Walter H. Kaye, professor of psychiatry at the University of California, San Diego School of Medicine, suggests that altered brain function, specifically in the neural circuitry, may contribute to restricted eating in anorexia and overeating in bulimia. This study confirms previous findings also discovered by this group of researchers, which have established a clear correlation between neurobiology and eating disorders. In this recent study, the brain response to sweet tastes was measured using functional MRI in a group of 28 women who had recovered from either anorexia or bulimia. These findings were compared to a control group of 14 women who had never suffered from either disorder. Interestingly, researchers discovered that those who had recovered from anorexia had a significantly diminished response to the taste of sucrose in the area of the brain where taste is sensed. In contrast, those who had recovered from bulimia had significantly elevated responses to the taste of sucrose in this brain region. What exactly does this translate into for eating disorder sufferers and their loved ones? This research may offer a pathway to new and more effective treatments for disorders such as anorexia and bulimia. Research findings such as these also give greater insight into the pathology of an eating disorder. Understanding that the biological component of an eating disorder is significant and may be of relief to some loved ones, who have difficulty comprehending how an eating disorder may have developed in the first place. Having an eating disorder does not resonate into hopelessness or despair. Research-based treatments along with invaluable support of loved ones can be the key to recovery and healing. This entry was posted on June 17, 2013 by pennsylvaniatravels in Uncategorized and tagged anexoia, brain, bulima, Eating Disorders in Women, Health, research.